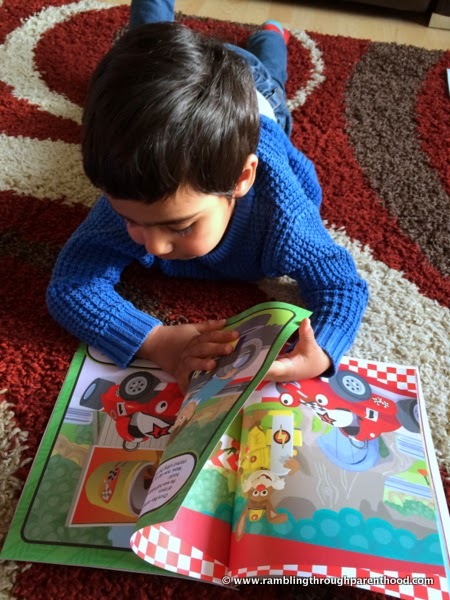 What is the best thing you can give a little boy who loves books, loves to read and being read to, and thinks that the local library is a great holiday destination? A good book, of course. 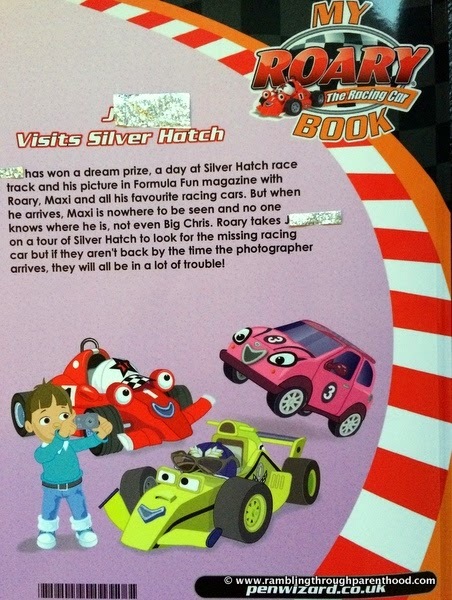 Even better, a personalised story book where the said little boy is an integral part of the story-line. 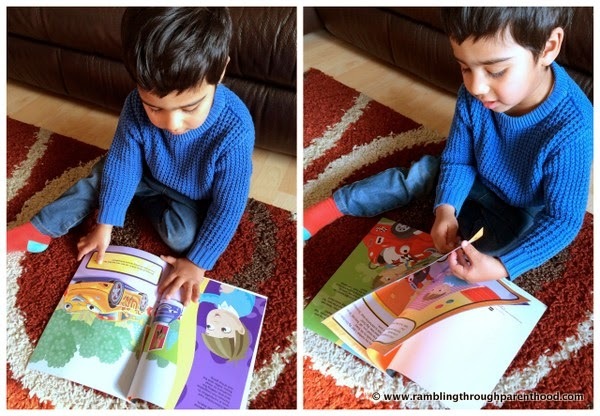 When the nice people at Penwizard offered me the opportunity to review a personalised story book, I jumped at it. Given J's love of the printed word, particularly when printed along with bright and colourful graphics, this was a chance not to be missed. Penwizard offer a range of books to chose from. We could have gone for Noddy or Ben and Holly or perhaps Peppa Pig. J could even have been in a story about medieval knights or wizards. 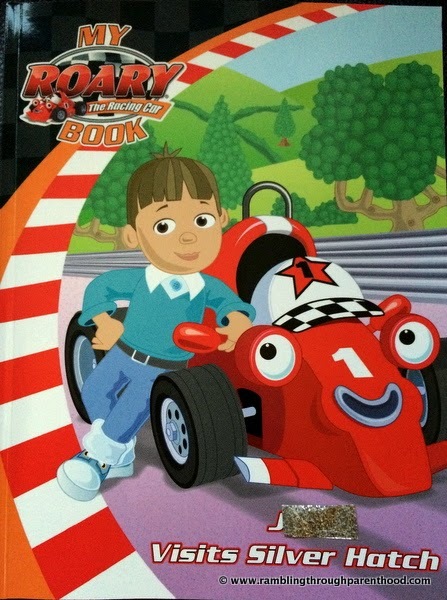 But all he wanted was to be with the bright red racing car. So Roary it was. It was huge fun to personalise the book. We got to choose how J's name would appear throughout the story. We had to pick and mix to create J's book avatar. Trying out the different hair colours and style options was particularly enjoyable. Then there was the lovely little touch of adding a personal message. I might have got a bit carried away there, what with this being the first time J's name was appearing in print! The end result is simply stunning. 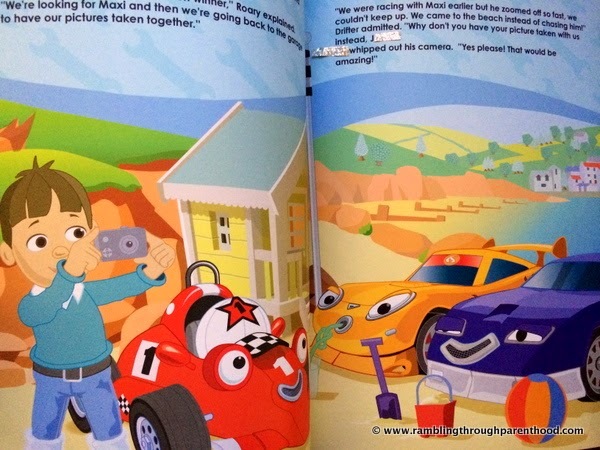 24 brightly coloured pages that tell an exciting tale of my little boy's adventure with Roary the Racing Car around the Silver Hatch race track. The front and back covers are marvelous too. J has is name in the title and his avatar on the cover. He features in the story synopsis on the back as well. Not many personalised books can boast of such widespread individual coverage. And done so well. The avatar does indeed look like my J (well, that is the whole point of personalisation) and he fits in the story rather seamlessly. J has been delighted with his new acquisition. He can read his name now, and loves spotting it on all the pages. He enjoys listening to the story too. He would, he features in it! He repeats his name and points to his avatar each time he hears it read out. Penwizard are brilliant from a parent's perspective too. They sent regular emails to keep me updated with the progress of my order. I am very impressed with the speed with which our book was delivered and with its quality and finish. £14.99 is a good price to pay for such a good product. To see your child's name in print is, of course, priceless. Disclaimer: We were sent this personalised Penwizard story book for the purposes of this review. No other compensation was received for this post. All opinions expressed are my own. This sounds like the ideal gift for my son. He's just learning to read, so it would be lovely for him to be able to read bits of the story about himself. It really is a good idea. My boy cannot seem to get enough of seeing his name in print! He does enjoy his books. He had never had a personalised one before, so is rather pleased with this. Books always make for excellent presents, even more so when they are neatly personalised. 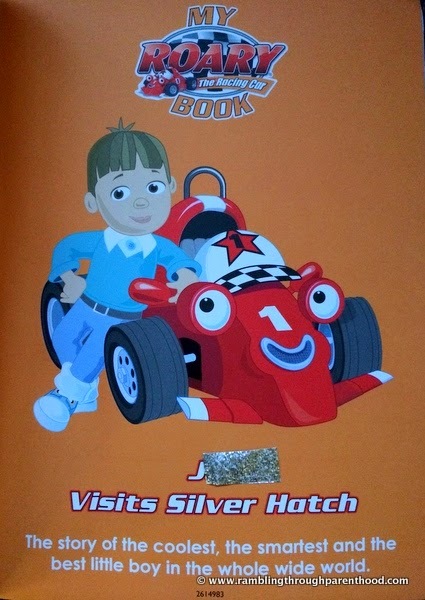 I bet Baby will love their very own story book with name and avatar in it! I think so too. I never had one when I was little, but it is a joy to see my son enjoying his so much. That looks brilliant and his avatar really does look a lot like him! What a great present. Both my girls love books but especially youngest - she is a proper bookworm and has now moved on to reading chapter books by herself! It really does! I think it is rather well done too. I wasn't sure how the avatar would turn out when we made our selections, but the end result is brilliant. I remember being given a personalised story book as a child and being over the moon to see my name in an actual book! Nothing beats the pleasure of seeing your name in print. Especially when you enjoy reading and writing. Oh wow, this looks fantastic! I will be bookmarking this for my kids birthdays as they would love a personalised story! It really is a great gift idea for birthdays and Christmas. It is a great idea for a present. I am impressed with the quality as well.